In 2018, an audit of the Launceston General Hospital recommended the existing cladding, which was found to be non-compliant, be replaced. Philp Lighton Architects were engaged to find a suitable replacement material to meet strict criteria. The replacement cladding needed to be non-combustible, durable, low maintenance and supplied to meet a short commencement program. Swisspearl® pre-finished fibre cement panels were selected as the ideal material for recladding this iconic project. Demonstrated performance to the required criteria, Swisspearl® ensured a long-term re-cladding solution. Manufactured in Switzerland and ensuring high performance, Swisspearl® is the worldwide market leader in high-density fibre cement cladding. Offering 6 different ranges and over 70 finishes, Swisspearl® provides architects unparalleled colour choice and flexibility in design. The large Swisspearl® colour pallet provided architects on the Launceston remedial works multiple options that seamlessly blended into the existing colour scheme. Crucial to this reclad project was the replacement material meeting strict fire resistant requirements. With a fibre cement classification, Swisspearl® met the non-combustibility criteria, ensuring a simple pathway in the National Construction Code (NCC). In addition, the remedial cladding needed proven durability and low maintenance over an extended period. A maintenance free, pre-finished, coloured through material that is scratch resistant, Swisspearl® again exceeded the criteria and satisfied design requirements. With the project prominence, the existing material needed to be replaced as a priority. With large inventory holdings, Swisspearl® provided material from stock, ensuring work could begin immediately and tight project deadlines were met. 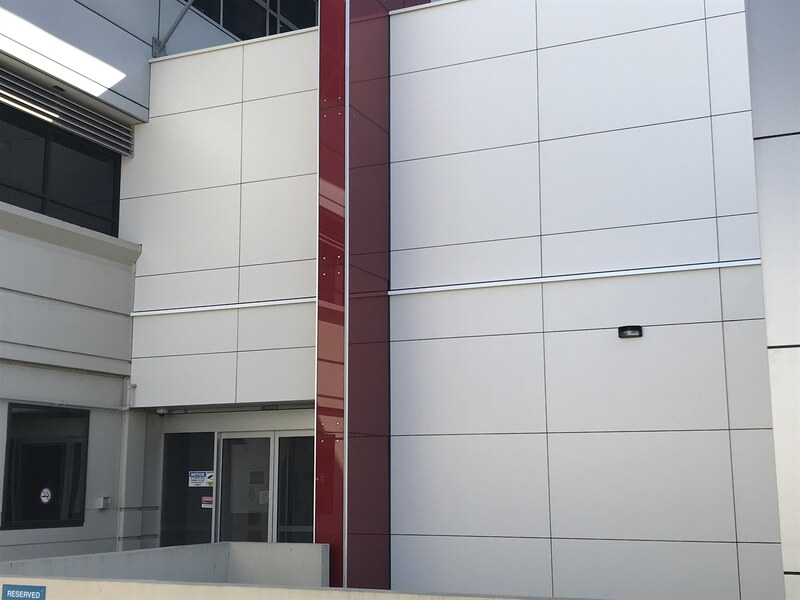 With the re-cladding of Launceston General Hospital nearing completion, Swisspearl® has demonstrated its versatility as an all-round performer by meeting and exceeding all material requirements on this project. Find out about Swisspearl today. Contact HVG Facades today for more information on Swisspearl pricing or request a sample online now.